Since its inception in 2011, Salmonfest (originally Salmonstock) has become a staple of Alaska summer for music fans, growing into the state's biggest musical gathering. 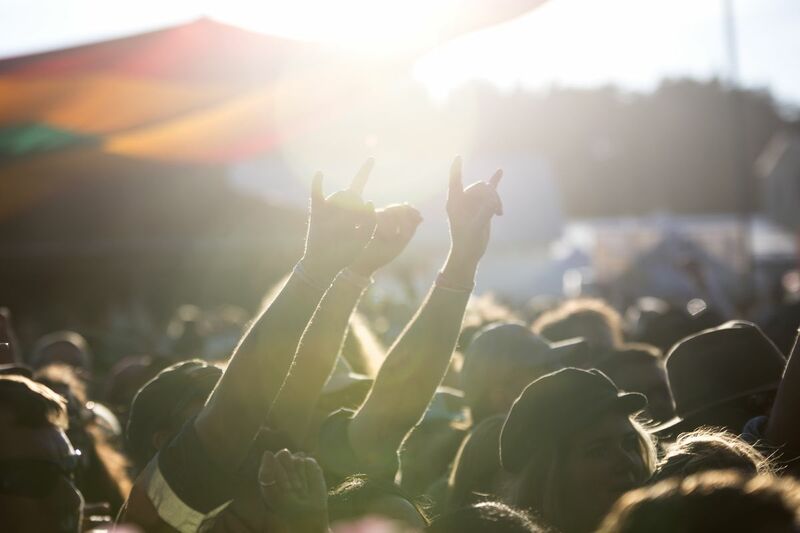 This year's festival features headliners Brandi Carlile and Michael Franti, as well as dozens of other musical acts from Alaska and beyond. Festival producer Jim Stearns said they have sold tickets for the Ninilchik event in 40 states and nine countries. "We're starting to become a destination festival," Stearns said. Washington-based Brandi Carlile is Friday's headliner. Carlile also performed at the 2013 festival, departing the state with a cache of new Alaska fans. Carlile's new album, "By the Way, I Forgive You," has been a critical and commercial success. Carlile continues a four-year streak of female headliners at the festival, following performers like Lucinda Williams and Alaska native Jewel. "She was just incredibly engaged with everything we were involved in (during her first appearance)," Stearns said. "She started what we consider our female-headline driven festival. That's something we're proud of, bringing some parity and a level playing field to the music." Another artist returning to the state, Michael Franti, will headline Saturday evening with Spearhead. Franti's musical stylings venture through hip-hop, funk, reggae and rock. His history of activism make him a perfect fit "musically, spiritually and politically," according to the festival site. Stearns said each year the festival prides itself on exposing attendees to a few up-and-coming bands that might not yet be household names. Portland-based Fruition is one of those bands. "They seem to be on a meteoric rise," Stearns said. "They're playing 1,500- to 2,000-seat venues and might be the next big thing in that rocking bluegrass genre." Another band Stearns was excited to bring to the state is the Gasoline Lollipops. The alt-country band from Colorado has drawn comparisons to country-punk outfits like Lucero. "We work hard on trying to find bands that people don't know that will blow their socks off," Stearns said. While the festival features a number of out-of-state acts, some local favorites will be performing. Hope Social Club, Emma Hill, Blackwater Railroad Company, the High Pets, High Lonesome Sound, Superfrequency and Ava Earl are among the familiar names. For the second straight year, the festival has added a fourth stage. The indoor Headwaters Stage will feature music all three days and will feature three editions of Parlor in the Round, the performance series created by local musician Kevin Worrell. The festival also brings together dozens of vendors from the Kenai Peninsula and beyond. "We like to think we have the best craft, food and art vendors in the state," Stearns said. There will also be late-night concerts featuring Achilles Wheel on Friday and the all-star jam hosted by Great American Taxi on Saturday. When it started in 2011 as Salmonstock, a major part of the festival's focus was on issues related to fishing, sustainability and conservation. Stearns said that continues to be a crucial part of the gathering. "We've got presentations, lectures, demonstrations," he said. "An entire section of the festival is based on educating and organizing people about salmon issues in the state." Held annually in the first week of August, the festival has been no stranger to deluges of rain. The forecast looks mostly sunny for the weekend, but attendees should come prepared. Friday to Sunday, Aug. 3-5 at the Kenai Peninsula Fairgrounds in Ninilchik. Tickets range from $72-$88 for single day to $139-$150 for three-day passes. Two-day passes are also available. See https://on.adn.com/2KiUgg0 for full details and ticketing policy. Parking is available on-site and camping is available near the fairgrounds. See salmonfestalaska.org for camping options. There will be an additional shuttle bus for getting festival-goers to and from campsites up and down the Sterling Highway.